Lou DiBella has been a longtime advocate for women’s boxing. If the New York promoter has his way, a historic spring card will take the sport to a new level in 2019. Sources close to fighters involved in the event told BoxingScene that DiBella is working on an all-female show featuring at least two, and possibly four, world title fights. The tentative time frame for the event is March-April, with a location somewhere in the New York Tri-State area. 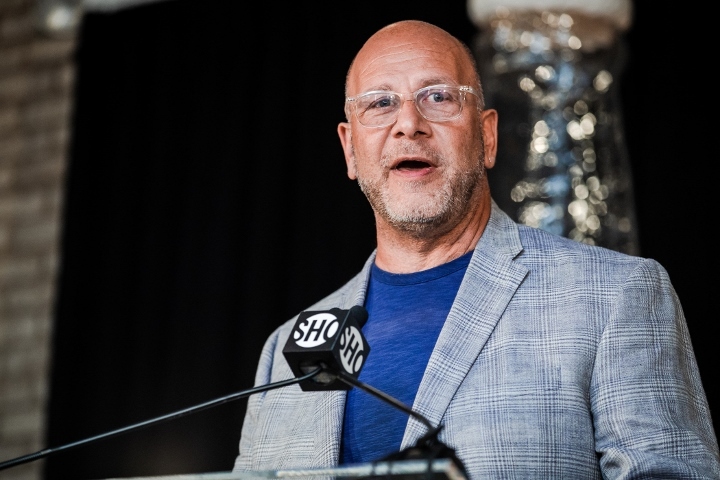 Perhaps even more notable is DiBella’s intention to place the card on premium cable, and when contacted by BoxingScene, he confirmed his plans and said that “meaningful discussions” have been taking place with Showtime, which has joined DiBella as a pioneering force in getting the ladies the television exposure they have sorely been lacking. But if this card comes off in the way DiBella hopes it does, it could be a game changer as the first all-female card to be televised on a major television network in the United States. There have been sporadic all-female pro events over the years, the most memorable being a trio of 1998 cards in Atlantic City that featured the likes of Jane Couch, Kathy Collins, Deirdre Gogarty, Fredia Gibbs and Jill Matthews. Rock and Sock Productions launched in 2005 with the same intention of taking women’s boxing to the masses, but it never got the television traction it needed. Over the last couple years, though, major exposure for fighters like Claressa Shields, Katie Taylor, Cecilia Braekhus, Heather Hardy, Amanda Serrano, Mikaela Mayer and Jessica McCaskill on platforms such as Showtime, HBO, ESPN and DAZN has opened the door for an idea whose time has come. Or more accurately, is long overdue. At the moment, two bouts have been verbally agreed to, and they’re good ones. In the featherweight division, a bout between newly-crowned WBO champ Hardy and pound-for-pound standout and WBC / WBA titleholder Jelena Mrdjenovich. Then, at 168 pounds, another unification battle pitting WBA champion Alicia Napoleon against WBC titleholder Franchon Crews-Dezurn. As for the rest of card, DiBella is looking to stack it, and while he already has the most robust roster of female fighters among major promoters, he’s not limiting his scope to the ladies he already works with.